The game was delayed an hour because torrential rains made it very difficult for fans to get to the stadium. Many thought the weather was going to be our biggest challenge. But a storm called Immobile and some felled trees floating around the pitch in the form of our players proved to be much more problematic. And once the goals started to rain on Milan, there was a proverbial deluge. 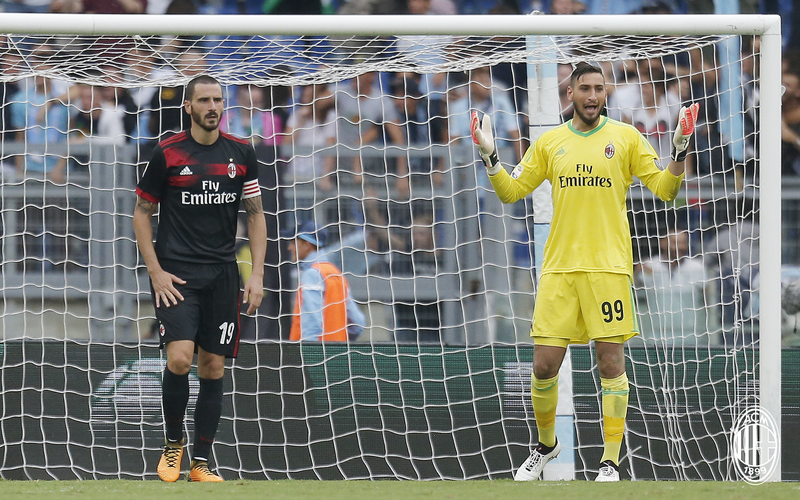 They say no man is an island, but today, Donnarumma was left pretty stranded. Milan’s defense played like elderly people stranded in a flood. Bonucci seemed poor, but it looked to me like he was attempting to cover for all three of the other defenders. Calabria was just dreadful. Musacchio wasn’t great, and neither was Rodriguez. Rodriguez’ strengths are getting forward, crossing, set pieces, and penalties. None of those things are defending, and that was painfully clear on this day. Milan came out playing moderately well, taking chances and looking at least interested in being there. In the 12th minute, Borini’s excessive fitness injured Wallace, so he had to be subbed off in the 15th. 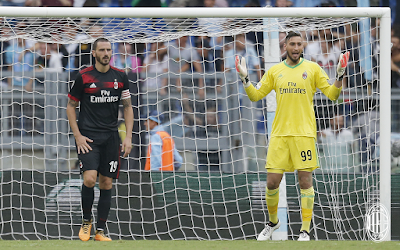 In the 17th, Donnarumma made an impossible save point blank on the goal line, followed by a little luck to keep the scoresheet clean. But it was in the 37th minute that everything went wrong. Kessie took down Luis Alberto in the area, and Lazio were given the penalty. If you ever needed proof that Kessie was only 20 years old, look at that foul. It was naïve and foolish. Immobile stepped up and converted the penalty, 1-0 Lazio. Like a balloon being deflated, Milan just stopped believing in that moment. And so it was easy for Immobile, just five minutes later, to score a brilliant goal on the volley. 2-0 Lazio. It was also easy, just two minutes into the second half, for Immobile to score his third goal to make it 3-0 Lazio. There were at least three Milan players surrounding him when he took that shot. Unbelievable. And just two minutes later, on a breakaway, he assisted Luis Alberto’s goal to make it 4-0 Lazio. Milan had clearly gone missing. There were a couple of players who reacted when 4-0 down. One was Suso, at times he seemed to be the only Milan player to fight. Then in the 56th, Montella brought on Calhanoglu and Kalinic for Cutrone and Borini. Cutrone had been completely impotent, and Borini was still really, really fit. Montella had said in the prematch press conference that Borini was good at “making runs.” Personally, I’d rather him make a run for coffee to wake the team up. I like my strikers to score goals. 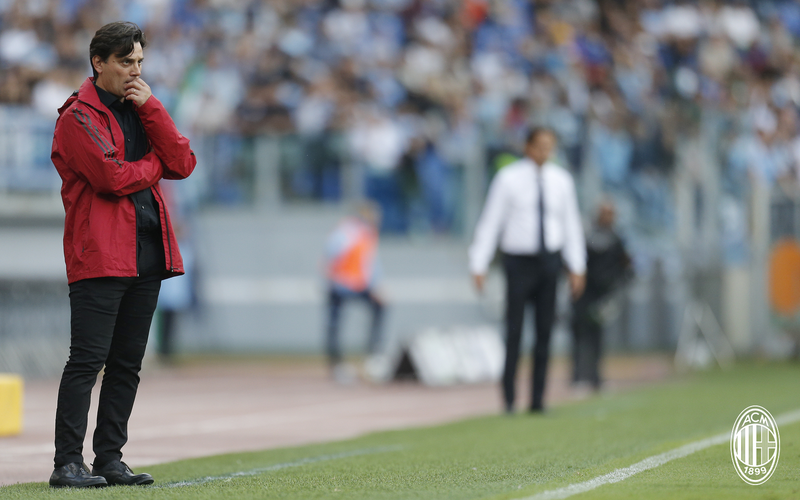 The subs made an immediate impact, with Calhanoglu taking a free kick and then sending in the rebound to a Montolivo who was shocked to find the ball at his feet, since that never happens, but wisely turned around and shot to score a consolation goal, 4-1 Lazio. Not even the shock of Montolivo scoring was enough to truly wake up this team, though. Despite 60% possession, we played with 10% heart. Montella’s lineups didn’t help, either. Rotation is necessary, but no one ever won anything with Montolivo behind Borini. And now he’s talking about going to the 3-5-2 again. Because if four defenders couldn’t defend, why not try three? We don’t have the depth to play that formation, and the last time he tried, it was worse than this train wreck. If I didn’t know any better, I’d say the man has no idea what he’s doing. He’s in way over his head. 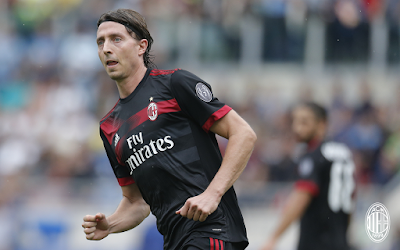 Despite the sign of the times Montolivo goal, this match was not the end of the world. Of course we all wanted to win, or at least take a point away from the Olimpico. But despite all of the shiny new players, a team cannot be bought. It must be forged through hard work, discipline, understandings, and yes, games like this one. There is a curve for learning to play with new teammates and tactics, and that curve is not in the shape of a Euro sign. So maybe the painful deluge of Immobile goals will actually serve a purpose down the road, helping to find that team that we want to see. Or Montella is in way over his head and this was the first sign that we were drowning. I’ll let you decide. I’m going to go get some flood insurance.